Minimum quantity for "TRADING FOR KEEPS MAKING MONEY WITH LOW RISK OPTION TRADES (DVD)(INCL GST)" is 1. In this engaging 90-minute DVD, Bill Kraft, author of Trade Your Way to Wealth, will discuss his own path to success, showing you how he has used low risk, measured risk, and even zero risk trades to achieve big profits. Fluctuating between stories and set-ups, Bill will discuss what he considers to be the basic and essential principles of trading including critical concepts of risk awareness and aversion, money management, and exit strategies. 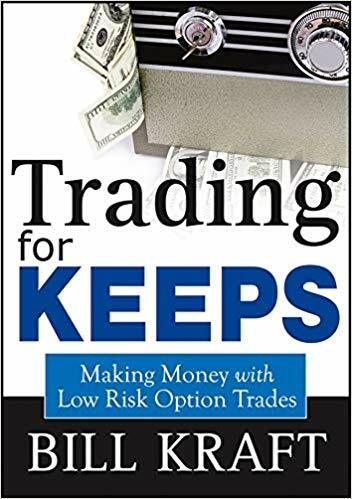 Through the use of current examples, you'll see how he creates limited risk, and even no risk trades, to protect capital while putting himself in a position to enjoy significant profits. and how to effectively use stop losses. Let Bill teach you the tricks of the trade so that you re just not making money, you re managing it like a true professional.